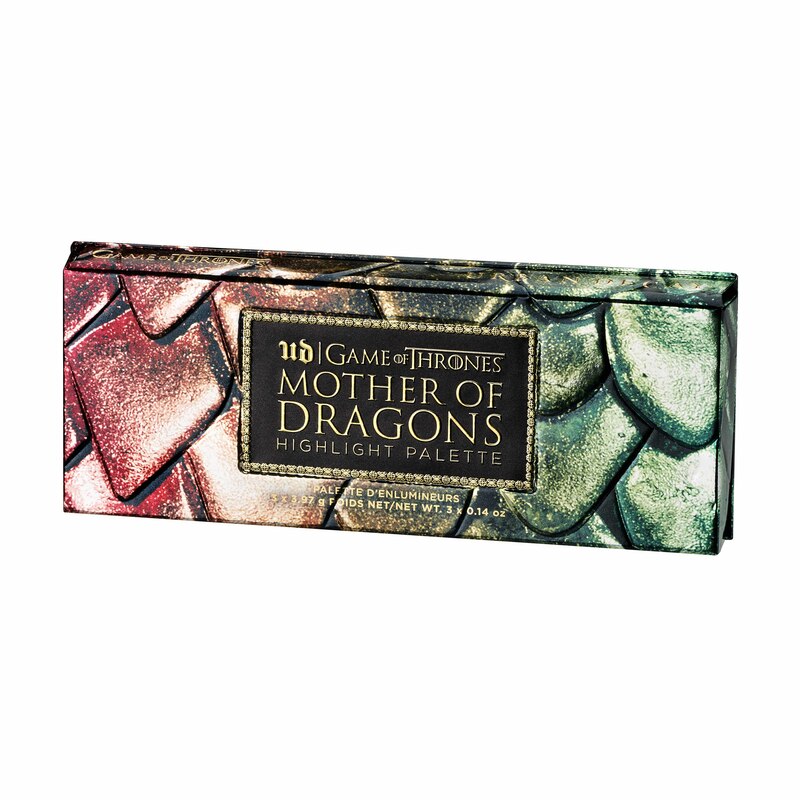 Mother of Dragons. 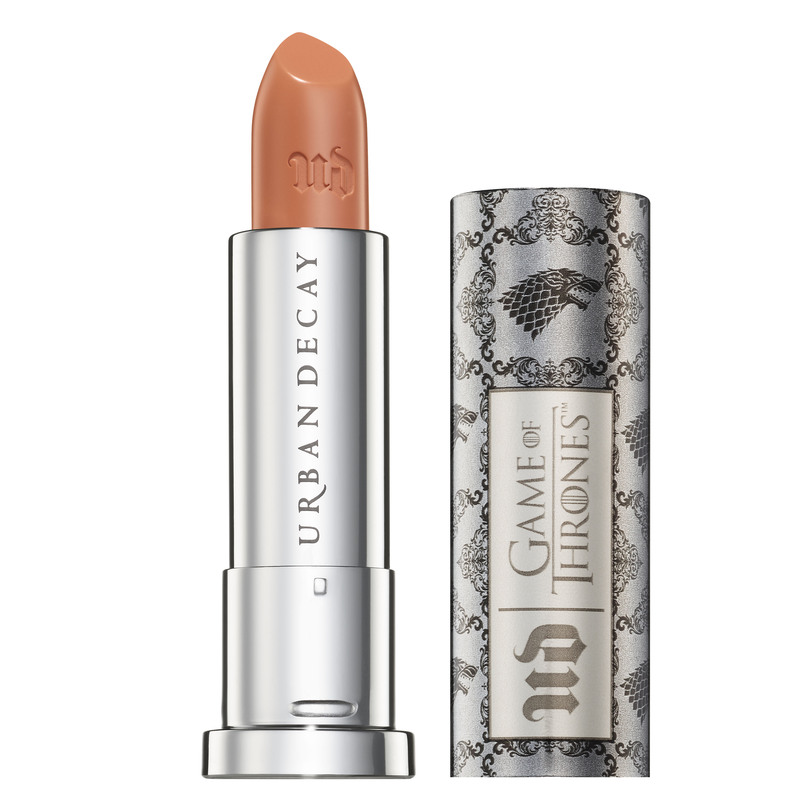 Urban Decay just dropped a brand new collection with HBO’s Game of Thrones that will help you rule the Seven Kingdoms (at least when it relates to your bridesmaid gifts and bridal beauty). 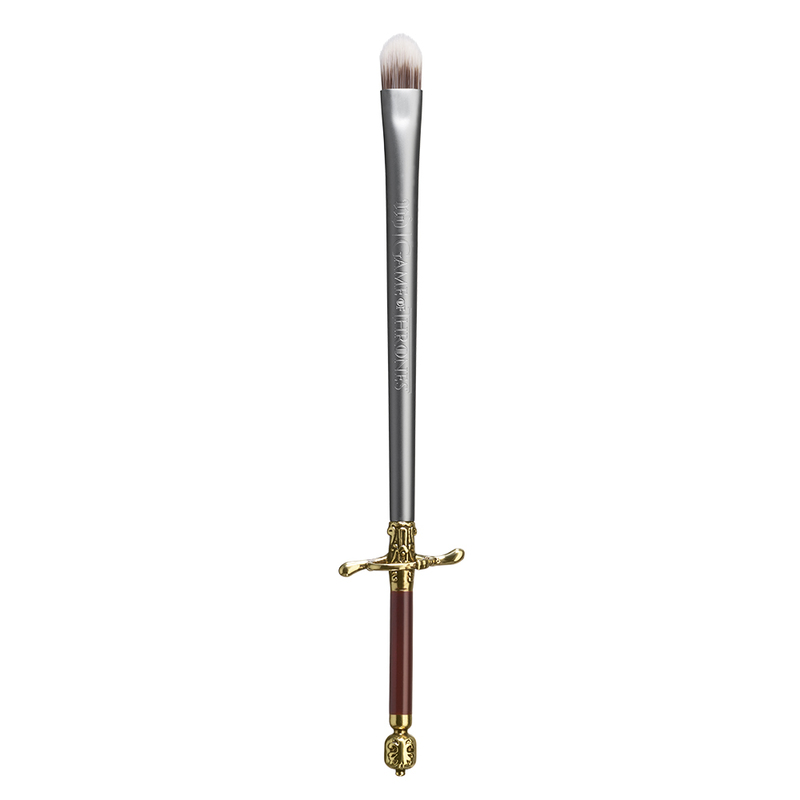 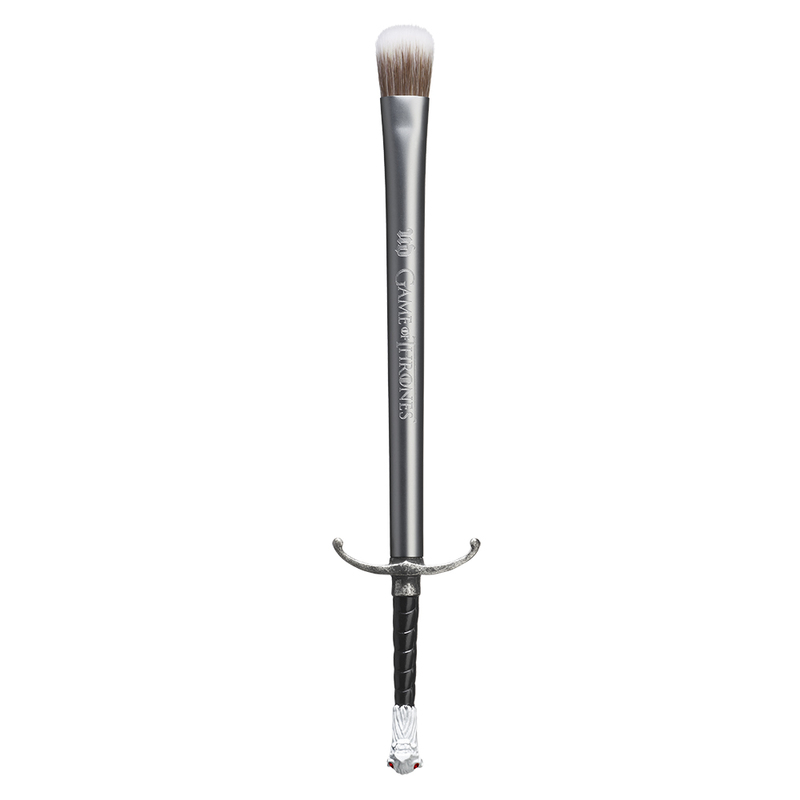 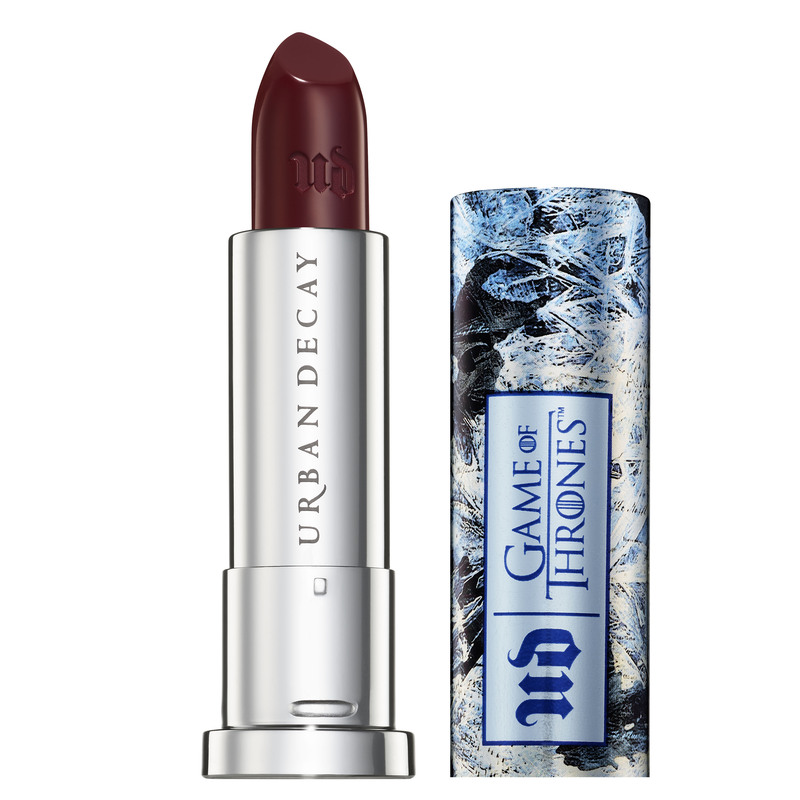 Ahead of Game of Thrones’ Season 8 premiere on April 14, Urban Decay has reimagined its very own beloved eyeshadow palettes and eyeliners to fit the historical fantasy show’s settings and characters. 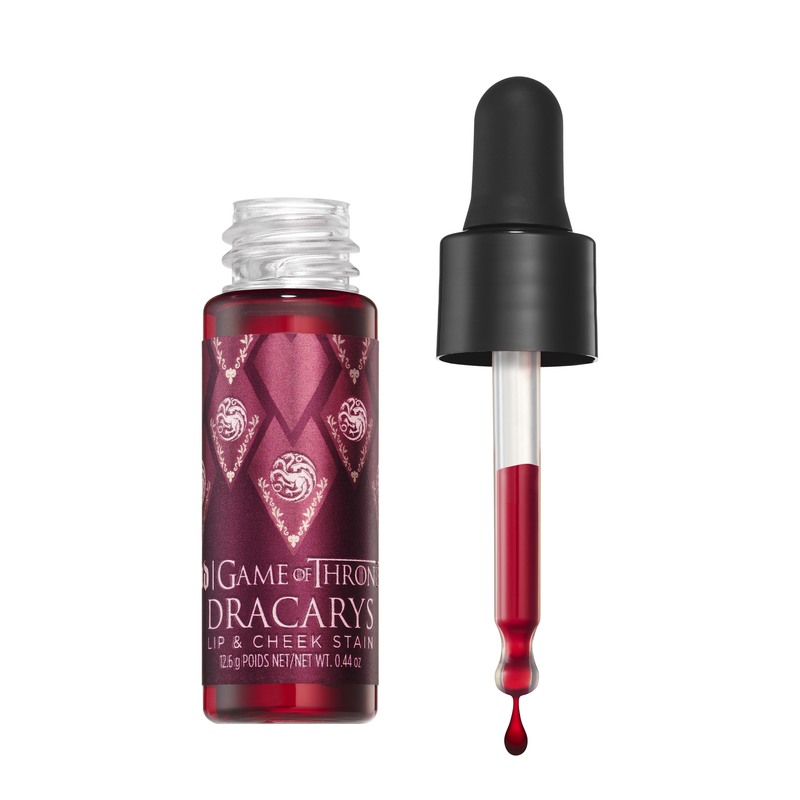 The new 13-piece collection is inspired by the fierce female characters of Westeros and the characters featured throughout the Seven Kingdoms. 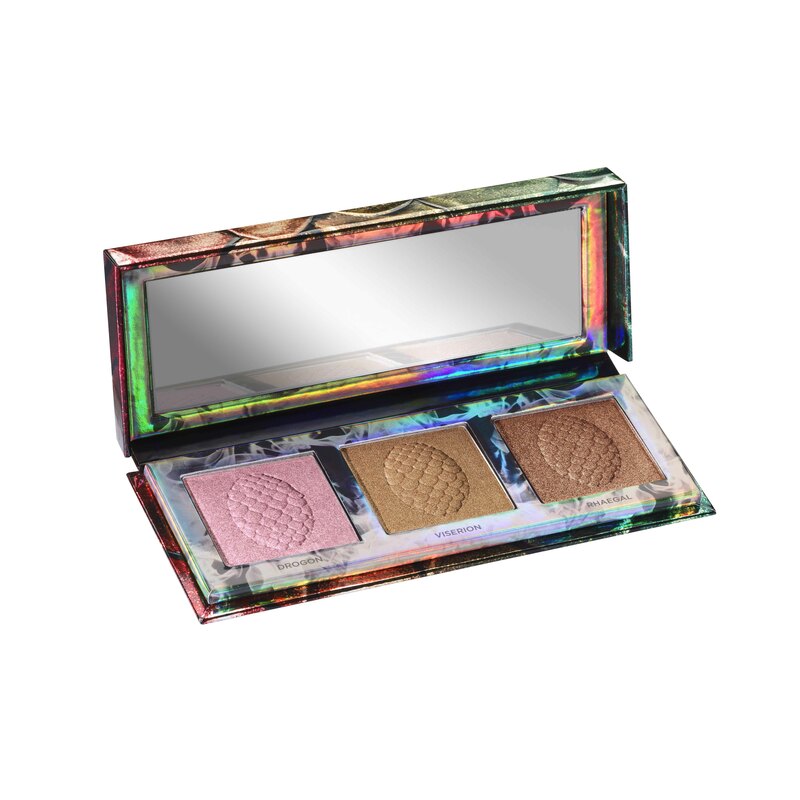 This particular pop culture-related collaboration features a range of makeup products including lipsticks, highlighter palettes, eyeshadow palettes and Urban Decay’s bestselling glide-on eye pencils all in bold shades and pops of metallics. 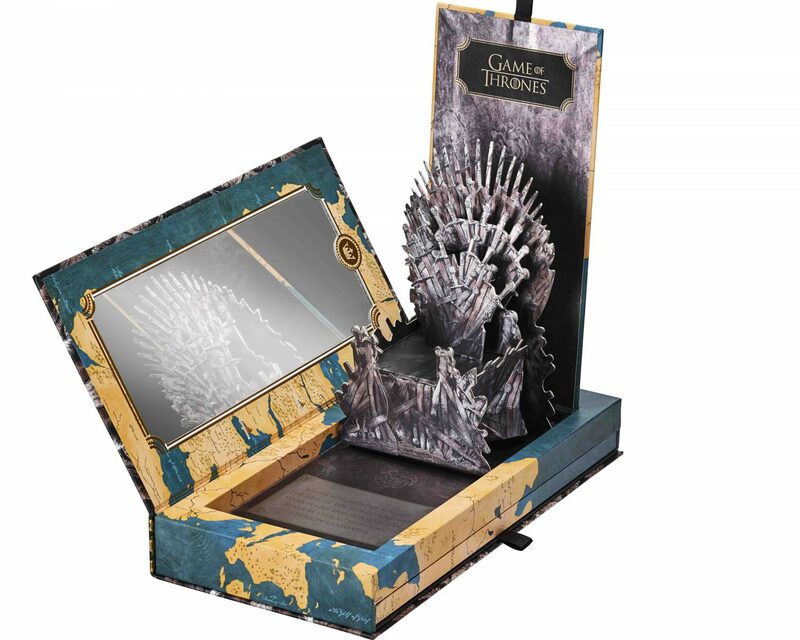 The packaging for each product is a commemorative nod to the show’s themes, including swatches in the mold of dragon’s eggs and a delightful pop-up palette shaped like the Iron Throne. 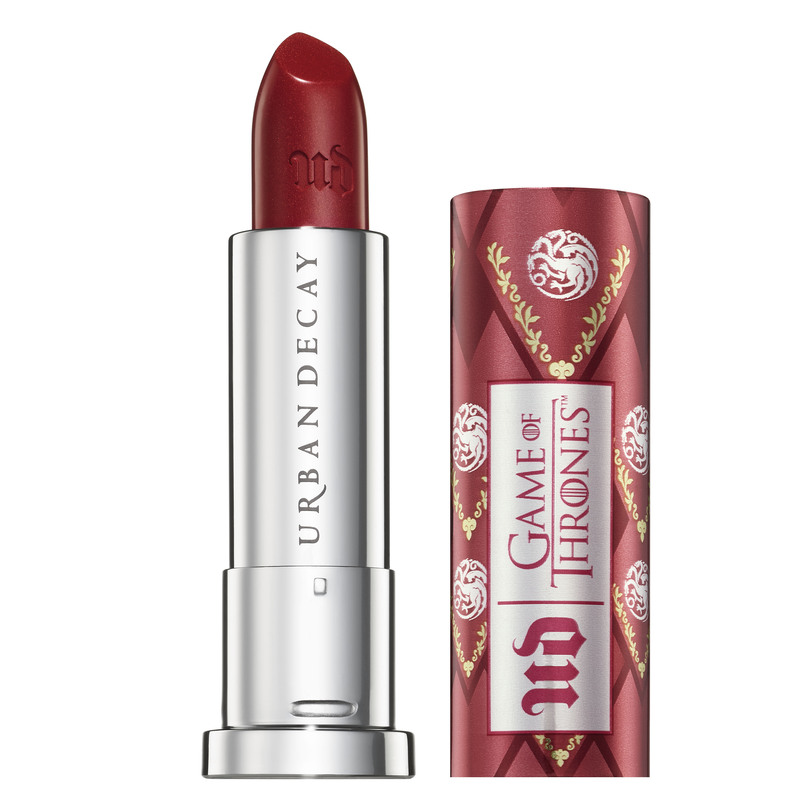 Prices for individual products featured in the Urban Decay and Game of Thrones collaboration range from $19 for lipsticks to $65 for the full eyeshadow palette. 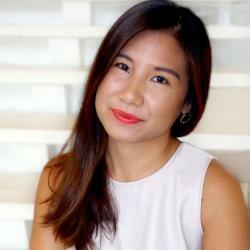 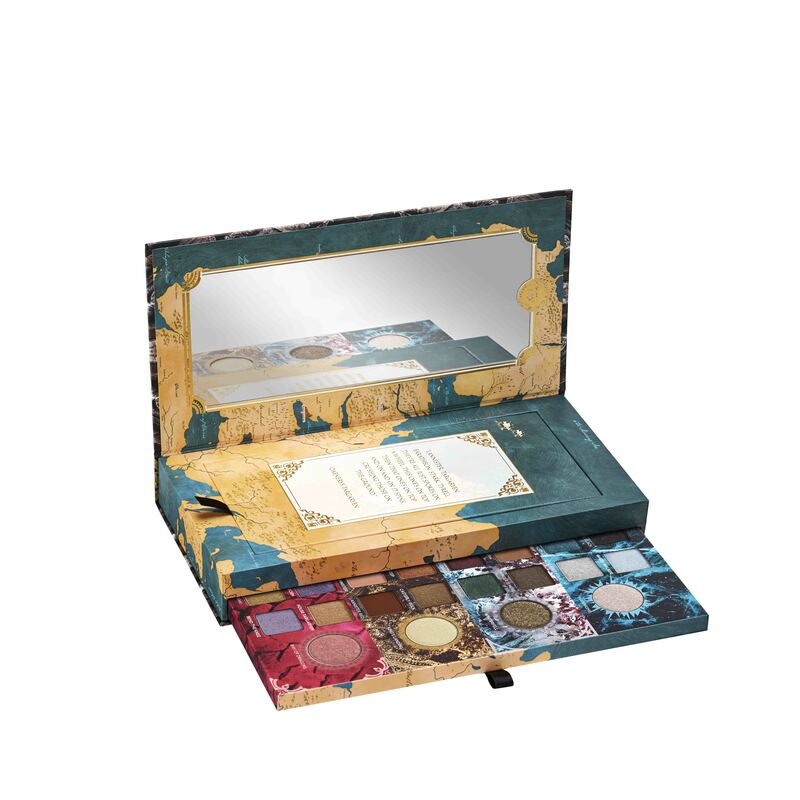 The entire makeup vault, for true show enthusiasts, will set you back $250. 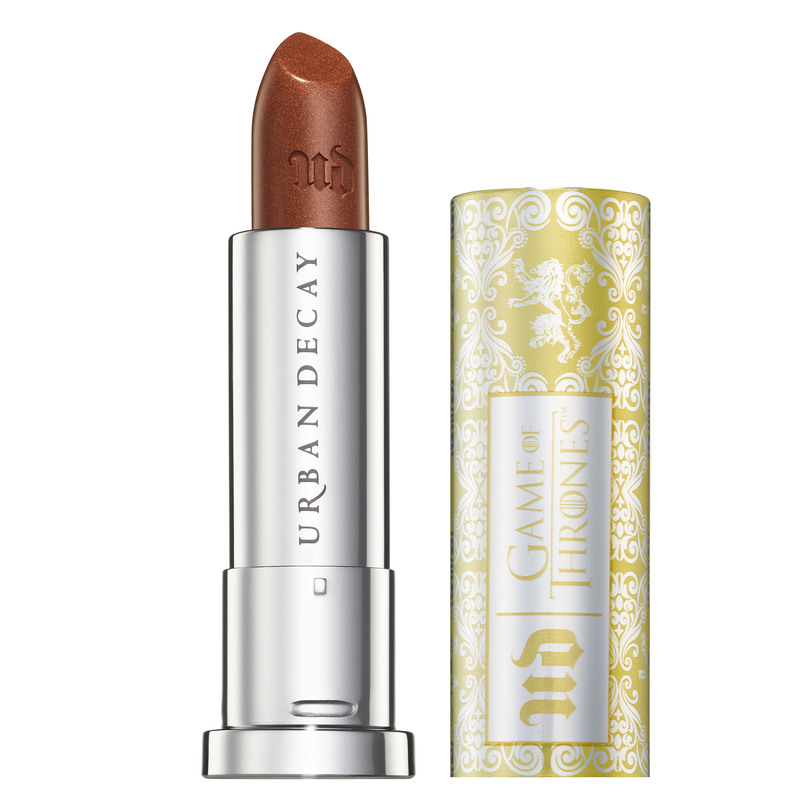 Be the first to comment on "Urban Decay’s New ‘Game of Thrones’ Collection Is a Trendy Bridesmaid Gift Alternative"